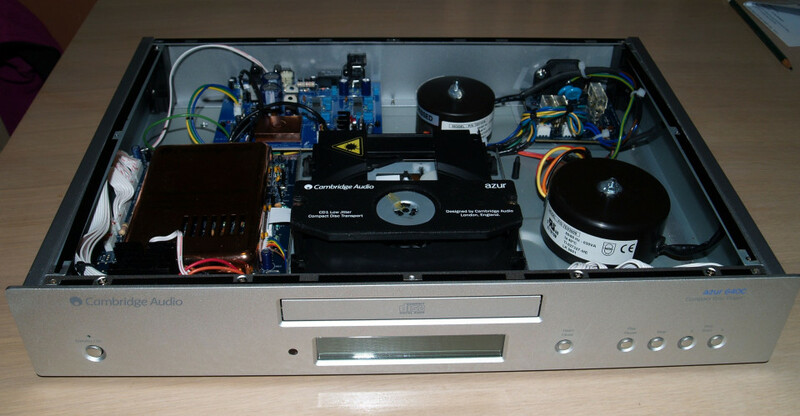 Back in March 2007, I bought a Cambridge Azur 640C (ver 1) CD player from Richer Sounds. The version 1 units have gone 'end of line' now, so it was a bargain at £149. Although I see that just recently (July 2007), they have been advertised as low as £99.95. In any case, my unit suffered from the standard problem, that being a noisy mains transformer. 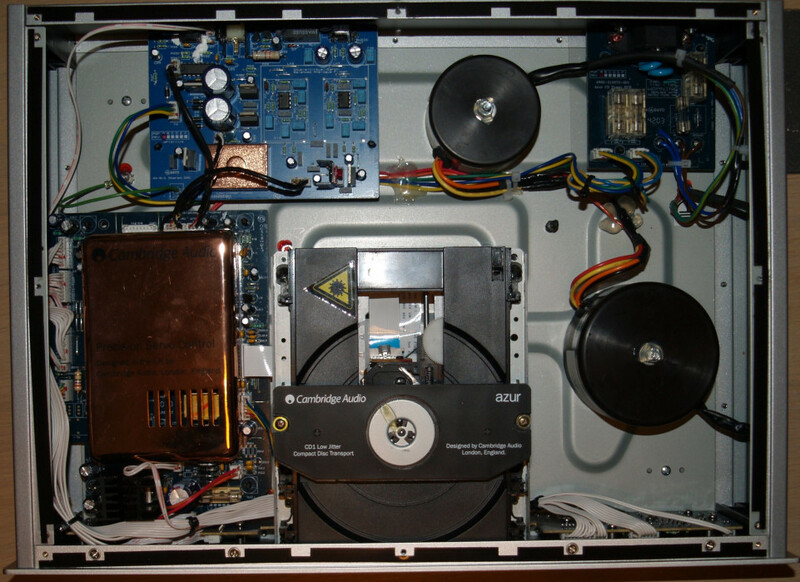 Rather than go to all the touble of returning the unit (and probably getting another faulty one) I decided to risk my warranty, and modify it. I removed the original Cambridge transformer (a standard 'e' core lurking underneath a so called 'copper' disk, made to look like a toroidal transformer. 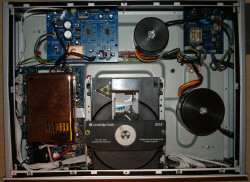 I fitted two toroidal transformes in it's place, with the added bonus of providing two seperate supplies for the DAC and the servo / clock circuitry. This did bring about a noticeable improvement in the sound quality, and the speed of the mechanism seemed to improve noticeably as well. I measured the current drawn during play / seek operations, and the servo circuitry consumed quite a lot more current than expected, at around 200ma in 'Play' mode, and 900ma during seeks. (I'm quoting these from memory, so I could be wrong!). The DC supply for the servo circuitry looks as though it would benefit from some modifications, but until I can get a schematic for the unit, I'm reluctant to perform any further modifications. I was surprised to see good old NE5532 opamps in the audio output stages!